It’s that time of the year again. When every food writer out there makes predictions of something they have absolutely no clue about – namely, the Michelin Guide. Because let’s face it, you can have an opinion about the evaluations of the Michelin inspectors, but no one really knows how the Guide operates. Do they re-visit all of the restaurants every year? What are the actual criteria for getting a star? How do they select which new restaurants to review? If there’s one thing the French culinary Bible is good at, it’s secrecy. While restaurants frantically try to keep up with their mysterious ways, supposedly recognizing the signs of an inspector booking and exchanging information with colleagues, the Guide claims they’re always one step ahead. But hey, I was correct in 2016 when I said Geranium and Maaemo would get three stars, and in my 2017 guesswork when Sabi Omakase in Stavanger got a star, so why not try again this year? However, this time I will focus more on who I think deserves a star. In either case, I will be present at the launch of the Michelin Guide Nordic Countries 2018 on Monday the 19th of February at Copenhagen City Hall Tower. Follow my Instagram to get live updates on my story. Update: Here are the results for the Michelin Nordic Guide 2018! 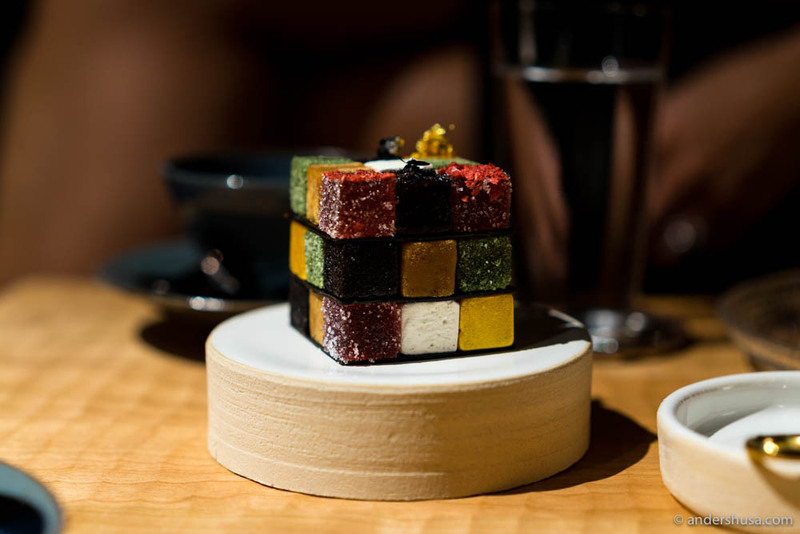 Is it easier to solve Rubik’s Cube than to guess Michelin stars? Probably. 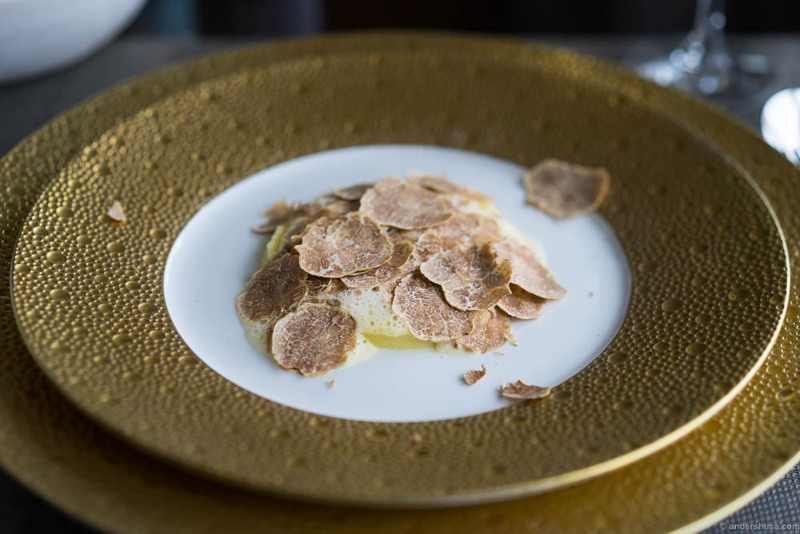 You can like or dislike the Michelin Guide as much as you want, but one thing is for sure – there is nothing more valuable in the world of dining than a star from Mr. Bibendum. The Michelin brand stands steady as a rock. For most restaurants, even one star will mean a guaranteed success for at least a couple of years. If we are talking two or three stars, you are in for international recognition and guests from far and wide. The pressure gets so high, that some chefs want to give their star back in fear of failing! Due to their position, the Michelin Guide is also under heavy scrutiny. Recently, they have been criticized for their new business strategy, which involves cooperations with national tourism boards (Singapore, Seoul, and Bangkok) and sponsorships from companies like Nespresso and Evian (Hong Kong and Macau). Of course, the sponsors have nothing to do with the selection of restaurants nor their ratings, yet critics ask if Michelin perhaps feels pressured to give out stars to street food stalls – e.g. like they did with Raan Jay Fai in Bangkok. Personally, I can see how sponsors are a necessity in the media reality we live in. Almost no one buys books anymore. Most information is available for free online. You need only open a blog or online newspaper to find out where the Michelin Guide has sprinkled their stardust. I, and many foodies like me, will still look to the Guide for solid advice. That does not mean we trust it blindly, nor that we don’t check elsewhere. There’s no doubt great value in the White Guide and World’s 50 Best too, in addition to good food blogs. Because one of Michelin’s biggest flaw is that they keep overlooking the real local gems, like Pjoltergeist in Oslo (and now it’s closing) or Punk Royale in Stockholm. I don’t think the Michelin Guide re-visits all restaurants every year (despite the fact that the international director Michael Ellis claimed so from the stage last year). That makes no sense from an economic perspective. They probably select the most likely candidates for an upgrade (new star, additional star, or Bib Gourmand), or downgrade, and spend their money wisely. Additionally, I think the Michelin Guide is smart enough to realize that they have to be relevant every year. That means the guidebook has to hand out some new stars in 2019 too. Which implies the inspectors should portion it all out a bit. Clever, eh? Without further ado, here are my best guess-pinions for the Michelin Guide Nordic 2018. If I were to put my money on something in Norway, it would be Restaurant À L’aise. If this place isn’t a textbook example of a Michelin-restaurant – then what the h*ll is? 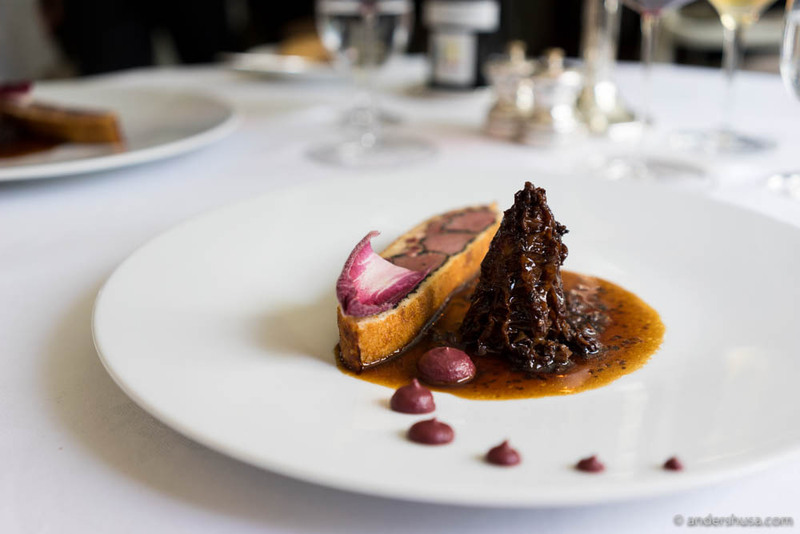 Classical French cuisine, white tablecloths, plush carpets, and exquisite cooking by chef Ulrik Jepsen. I say they get one Michelin star this year. Update 18.02.2018: Based on the latest rumors, I have reason to believe that Restaurant À l’aise will NOT get a star this year, but instead will receive a Michelin plate. Previous years, I have suggested that Bokbacka could be a star candidate. Of that, I am not so sure anymore. In my opinion, they haven’t upped their game enough since the opening in 2015. That doesn’t mean I don’t like it, on the contrary, it just means that they might not be as interested in being a Michelin-star-kind-of-place. It certainly doesn’t fit well with the current trends in Oslo of affordable and available food … However, I’d be surprised if Bokbacka doesn’t get a mention, i.e. the Michelin plate symbol (update: they did). 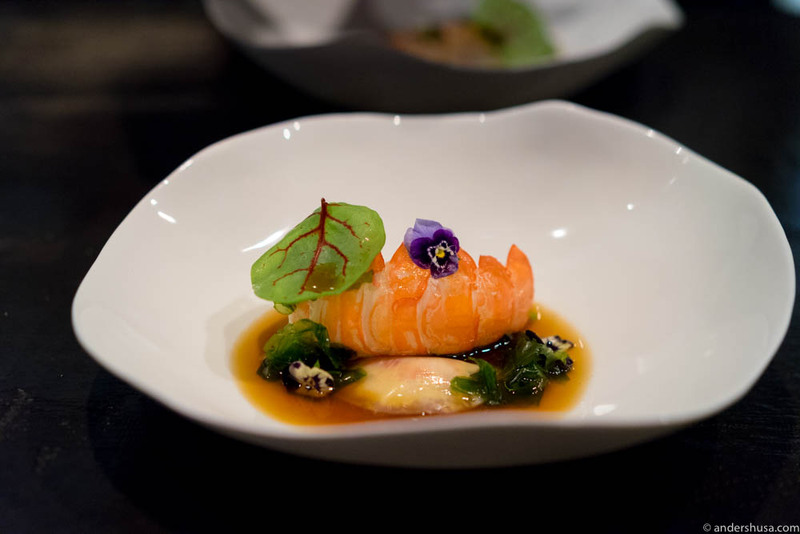 Omakase by Alex, the sister restaurant of Sabi Omakase (✻) in Stavanger, is another potential contestant. After all, the apple doesn’t fall far from the tree, and this place sure has mimicked the style of its inspiration. However, I think it’s too soon for a star already. But a plate with some cutlery? Sure (update: they did). Besides that, I think all Oslo restaurants will keep their current stars (update: they did). That’s one star to Kontrast, one star to Statholdergaarden, and three stars to Maaemo. 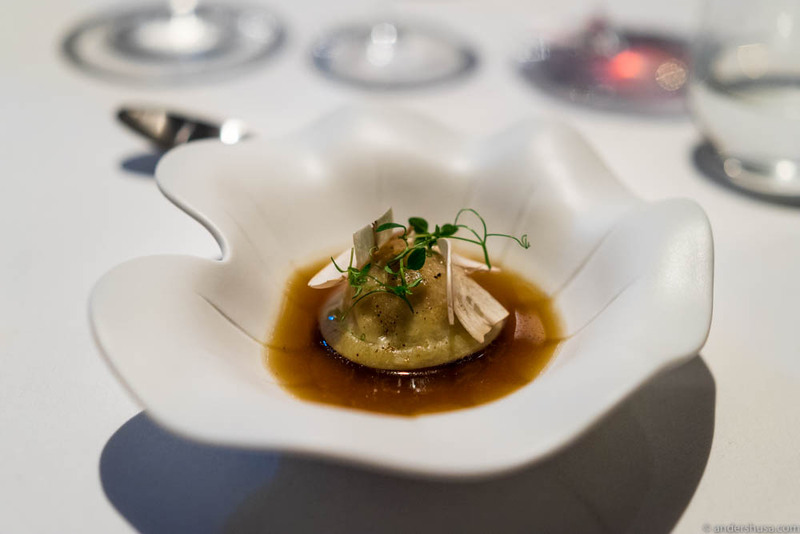 We know from Twitter updates, that the Michelin guide has at least re-visited Oslo this year! In addition to Kontrast, Statholdergaarden, and Maaemo, they have also reported from Plah and Happolati. Does that mean these places will get a star? No. My guess is they keep their mentions in the guide (update: they did). I think both Sabi Omakase and Re-naa will keep their respective stars (update: they did), although, I believe Re-naa deserves two stars. It’s much closer to AOC (✻✻) in Copenhagen than, say, Mathias Dahlgren Matbaren (✻) in Stockholm. Tango could be a strong candidate in 2019, after the relocation and changes to the concept, but not this year. Have the inspectors even been to Bergen this year? I don’t know. If they have, Lysverket might have gotten a new chance (last time the inspectors complained about the loud music). I sure hope so for Christopher Haatuft, who is a magnificent chef. Both restaurant Bare and Colonialen are also getting rave reviews. Since I haven’t been to the city myself for many years, though, there’s no real point in me guessing. The previously oh-so-hot candidate for a star, restaurant Credo, has been closed for relocation since last summer. That means no chance for a star in the guide for 2018. 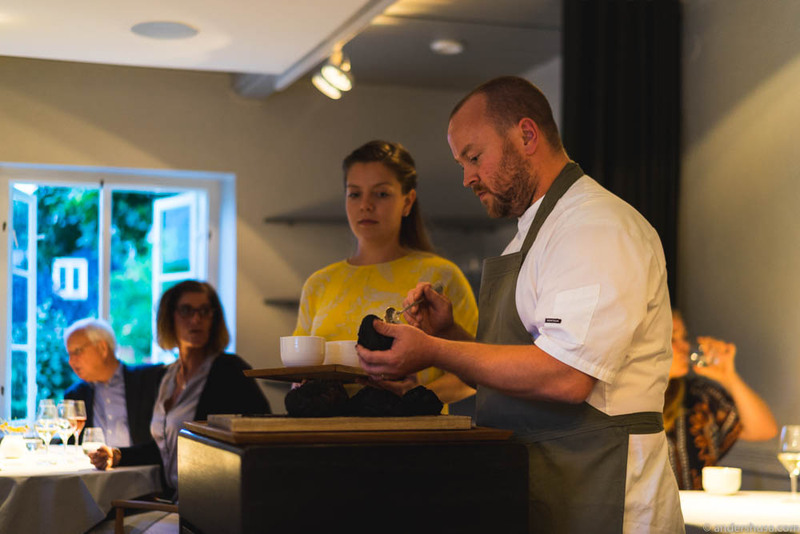 Better luck next year, when restaurant Fagn by chef Jonas Nåvik will be a strong contender! I think it’s too soon for them this year, with an opening date in late August. Give Søllerød Kro the stars they deserve! First of all, I have no reason to believe that any Danish restaurants will lose their stars this year. Not even Studio, despite the loss of their head chef Torsten Vildgaard (update: it didn’t lose the star). Feinschmeckeren still gives them thumbs up (article in Danish). Thus, Copenhagen will continue to reign, with its three-starred restaurant Geranium on the throne. But let’s face it, there’s no way Noma is back in the guide yet, considering the opening date is February 16th, 2018. Søllerød Kro should get its long-awaited and well-deserved second star. If this place isn’t a two-star-restaurant, then why bother having the category at all? The Guide even says it themselves on Twitter: “Well worth making the journey out of Copenhagen.” Kadeau also deserves two stars, and I think this is the year they will get it! (update: they did). Additionally, after having recently eaten (again) at restaurant Marchal (located in hotel D’Angleterre from where I am writing this now) and been blown away by one flavor bomb after the other, I say they should be upgraded to the worth a detour-category as well. Chances are, not all of these predictions will come true this year. Who else? Alchemist is closed for relocation, so I can’t imagine the guide will bother to award them a star yet (despite a visit). Maybe in 2019. Considering that Noma’s sister restaurant 108 got a star after six months of operation, I’m sure its younger brother Barr has been equally scrutinized. I have my doubts for a star there, though, but then again, I did not see the 108 star coming either. The food is amazing, but is it too casual for Michelin? They have been there, so only time will tell. Update 19.02.2018: Rumors are hot on Barr to receive a star. Inspectors have visited multiple times. Clou is hoping for a second star with their relocation, and both Trio, Jordnær, Veve, and PMY are new restaurants that should, at least, have a mention in the guide, if not more. Lastly, restaurant Nærvær is a hot tip for the same. I have hardly traveled outside of Copenhagen in 2017, so I’m only going to stand by my words from last year and say that Hotel Frederiksminde should be upgraded to two stars, and Rønnede Kro deserves a Bib Gourmand. Update 18.02.2018: Based on tips from my readers, it is likely to believe that both restaurant Memu in Vejle and Balcony in Odense will receive one star, and that restaurant Frederikshøj in Aarhus will get its second star! I was at restaurant Frantzén on the opening night. 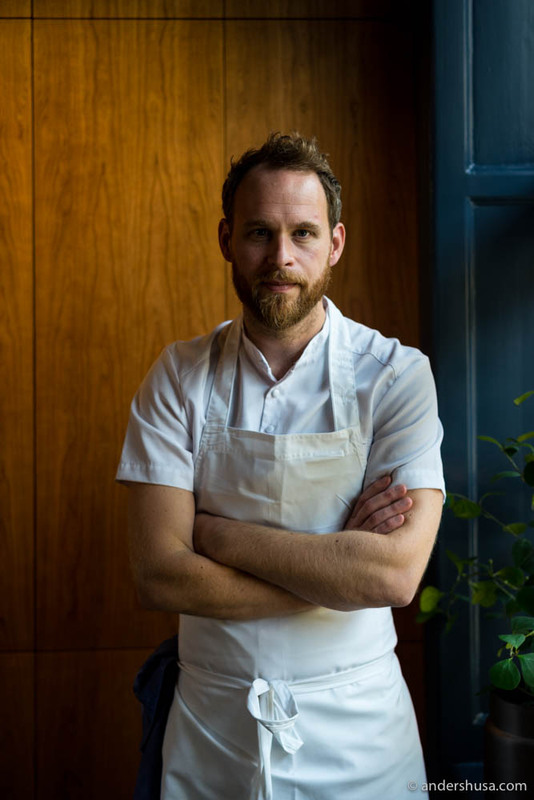 Chef Björn Frantzén has invested 75 million SEK in a new location for his (currently) two-starred flagship. He wants that third star so bad! Does he deserve it? Yes. Will he get it this year, though? Michelin has been there, but they might want to give him another year to prove his worth. I’m certain his two stars are back, but let’s go out on a limb and say he will get the third one too (update: they did!)! That would complete the three-star brotherhood among Norway, Denmark, and Sweden. Söta bror, we want you up there! Based on my last visit to the Swedish capital, I would also argue that Adam & Albin should have one star, and I still think Gastrologik is closer to two than one. There’s a lot of buzz about restaurant Unn as well, but since I haven’t been myself yet, I cannot tell if it’s worthy of the praise. According to Twitter, the Michelin inspectors have found their way to Alöe, and so did I. Were they impressed enough, though? I’m not too sure on this one, but they might be. Flickans got a visit, and so did Mathias Dahlgren Matbaren (✻), The Flying Elk, Café Nizza, Rolfs Kök, Kagges, Pubologi, Operakällaren (✻), Lilla Ego, Shibumi, Fotografiska, Agrikultur, and EAT. Hoze in Gothenburg should also get its long-awaited star. Twitter says nothing about that, though, but does mention Project, Sjömagasinet (✻), Upper House (✻), 28+ (✻), Koka (✻), Kometen, Dorsia, SK Mat & Människor (✻), and Bhoga (✻). There are even two updates from Project, so my bet would be that it enters the guide in one form or another. Vollmers in Malmö is a solid two-star and should keep both, but the guide needs to upgrade Daniel Berlin to the same status (update: they did). Look, the man and his eatery is located a good one-hour drive into the woods – that’s a detour! Twitter reveals that the Michelin man has been at Snapphane, SAV, and Bloom in the Park (✻). Give this man a second star! It’s a long drive. Good for wearing out those tires. That’s the best I can do! Who do you think get stars this year? Please leave a comment below. Next Post Here Are the New Michelin Stars of the North 2018! We been visited a lot of Restaurant with michelin Star since 2012 in different counties mostly in Spain and some places in Japan, and we visited all in Norway except omakasse in Stavanger. I like your article the way you write about criteria and you have a right thougts. And Im thinking also A’laise desserve one Michelin and Renaa desserve 2 Michelin star, only that 2 restaurant in Norway impress me a lot specially Renaa. Thanks, Kristel! Glad to hear you agree. Both Re-naa and À l’aise are fantastic. I love to resd your Anders Husa! Happy to hear that, Ulla! Frantzen has major BUZZ…It should get the 3rd star. But Anders, what we all would like to know – HOW WAS NOMA?? What are your thoughts on Era Ora in Cph? Haven’t been there, so I wouldn’t know, unfortunately.